The smirking, villainous pharma-hedge-douche-bro Martin Shkreli (previously) bought the rights to the anti-parasitic drug Daraprim -- used to treat malaria, a disease that disproportionately affects the poorest people in the world -- and jacked the price from $13.50/dose to $750/dose. 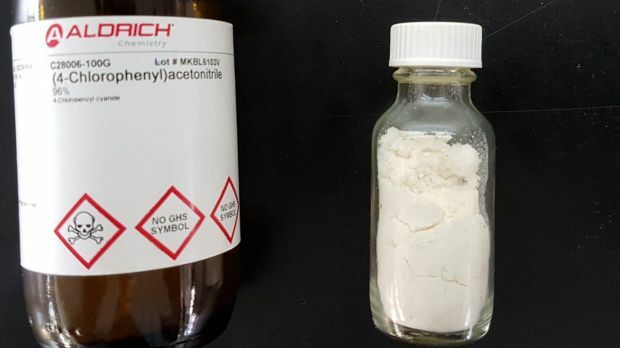 A group of schoolchildren in Sydney set out to synthesize the active agent in Daraprim, and found they could make it using classroom equipment for $2/dose. Shkreli discounted this achievement on Twitter, saying that making small amounts of a drug was cheaper than making large amounts (suggesting that he doesn't understand economies of scale) and that synthesizing molecules in a classroom wasn't innovative (presumably, adding a couple zeroes to a price-tag is the real source of medical innovation). Under the guidance of Dr Alice Williamson at the University of Sydney, some year 11 Sydney Grammar students made the drug for about $2 a dose. In explaining his motivation during the Sydney Grammar school project, student James Wood said: "I don't believe his justification for the price hike." James, 17, said he thought this seemed "a bit wishy-washy". "He was clearly trying to justify something driven by the profit motive," James said.